Spitting Feathers will play two live sets at the Stable Yard in Tatton Park on Sunday afternoon – 10th September – at 12:15pm to 1:30pm and from 3:00pm to 4:00pm. 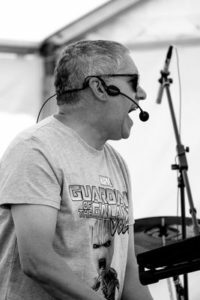 Spitting Feathers is a covers band based in Northwich, Cheshire that specialises in playing the type of live music that will get audiences dancing the night away. Led by strong male and female vocals, the band performs a wide range of covers including recent chart material.